Welcome to Billy Bob's Offroad And Truck Specialties, Inc. We provide top quality parts for all your offroad vehicles. Don't know what part you need? Let the Diff Wizard find you the exact part. 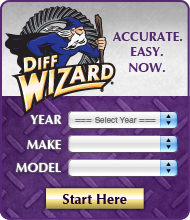 Click here to use the Diff Wizard now. YZLASW-01 - Zip Locker switch.